The Carlisle 800B03 salad bowl has a 16-ounce product capacity and a rim-full capacity of 27 ounces. 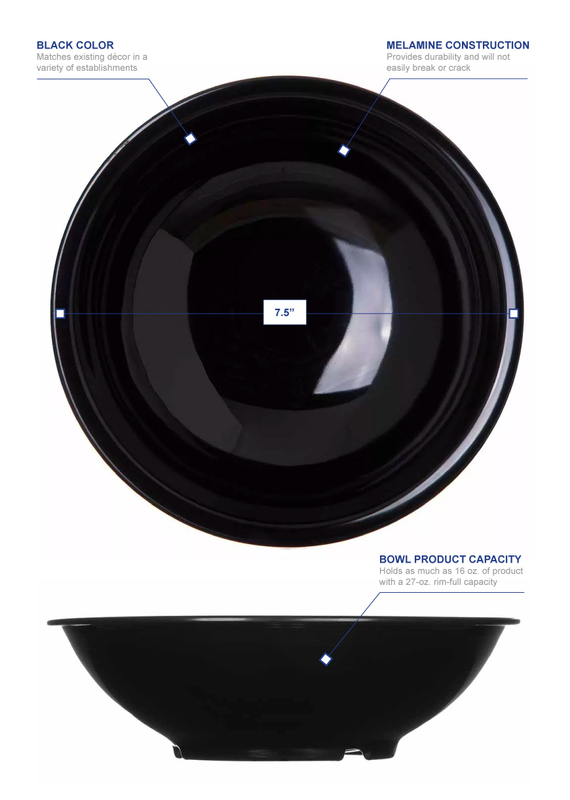 Made of melamine, this dish is durable and resistant to breaking and cracking. While melamine is heavy duty, it should not be heated in the microwave or oven since it can cause damage. 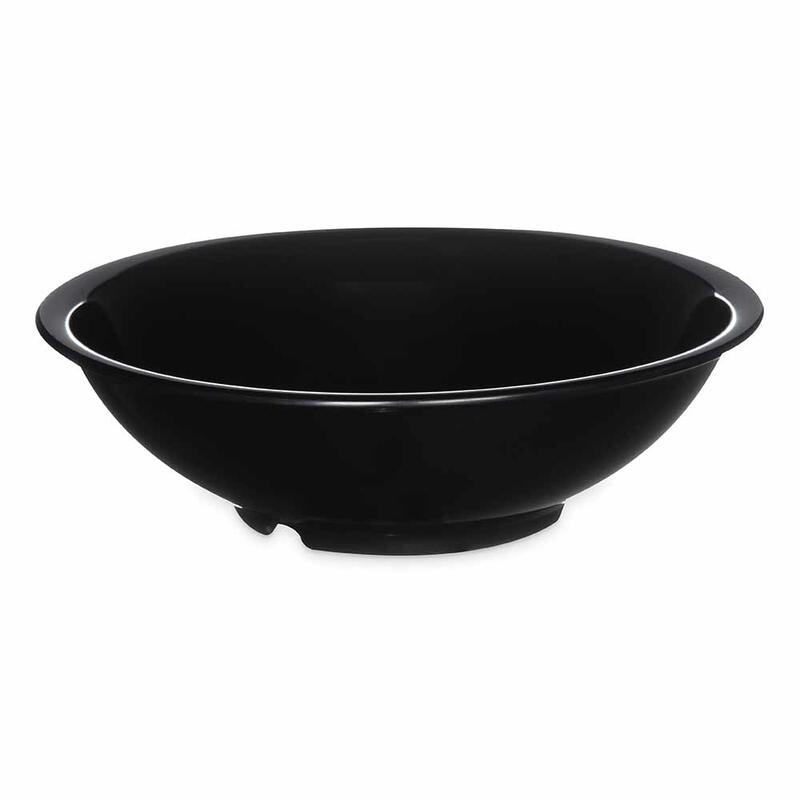 The Carlisle 800B03 salad bowl fits into almost any establishment with its black color.